Jeff - The Goldschmidt trade seems to make sense for both teams. Do you think it will happen? Well, I think there is certainly a chance. In an earlier chat I suggested the Diamondbacks ought to fold if they didn't keep their cornerstone hitter Goldschmidt, but that team seems ready to join the tank-and-rebuild movement rather than offer up nine-digit contract extension. SI.com suggested an offer of catcher Andrew Knizner and Connor Capel would get it done. Even for just a one-year guarantee of Goldschmidt, that sounds fair. What is your prediction on who the Cards add for middle of the order bat and lefty in the pen? I'll predict Moustakas and Britton. Thanks. Moustakas would be nice fall-back to hit, say, sixth in the order if the Goldschmidt didn't happen. 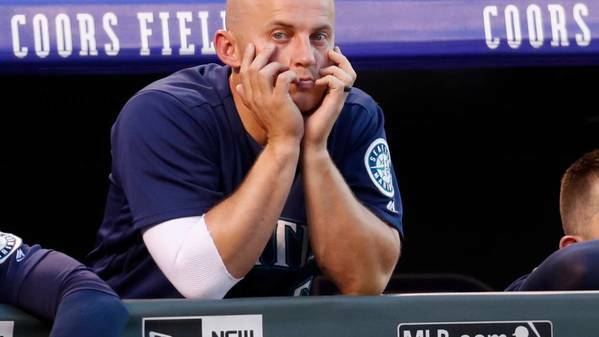 I'd also keep an eye on Kyle Seager, a buy-low opportunity in Seattle's ongoing sell-off. thenewstribuneKyle Seager should have been hitting his prime the past two seasons with the Seattle Mariners, instead he’s regressed to career lows. He plans to alter his offseason workouts this offseason. are we going to wake up on christmas morning with a Harper and an MLS franchise under the tree? Do you live in St. Louis? Then probably not. MLS seems like a shoo-in at this point, but I remain steadfastly in the No-Harper Camp. Scott Boras is going to play this for all it's worth and it's very hard to imagine the Bill DeWitt Jr. playing along with that. The free throw thing is hard to fix in-season. Given the long hours these guys practice, the Billikens are pretty much who they are at the line. Asking for more than incremental progress is tough. The same goes for long-range shooting. As for the turnovers and playing more value on each possession, that clean-up can continue. From that standpoint SLU still has room to grow. Do you think the Blues will make any moves or should we just assume this season is toast. I expect some moves. Now, those moves could be forward-looking trades if Doug Armstrong concludes that this season is a wash. The Blues are rapidly reaching the point where spending big for short-term help makes no sense. History tells us the hole the Blues have dug will be difficult to escape. what are your thoughts on a goldy trade as a precursor to a harper signing? reasoning being that this would be that much more of an attractive place to play for harper. and any idea on when things might start heating up? If the Cardinals do trade for Goldschmidt, the franchise will have to set aside a huge payroll chunk to offer him on an extension or a next contract. So trading for him could make signing Harper even more unlikely. The trade package I noted earlier seems reasonable. Perhaps add one mid-level pitching prospect. After all, this guy is just a rental player at this point. as a follow-up, but isn't more than (over-estimate) 50% of the team coming off the payroll in 2020? that makes me think we would have resources to sign both. Sure, the team can always afford two megastars. But Carlos Martinez and Dexter Fowler are still scheduled to get paid in 2021. Look at the players that will getting into the arbitration process and therefore real money in 2021: Jack Flaherty, Harrison Bader, Alex Reyes and Jordan Hicks. And what if the team re-signs Marcell Ozuna to giant dollars? What if Wong pans out and gets another deal? What if the Cardinals sign two relievers to big contracts this winter? A lot of ifs. What percentage do you put on the Cards landing Harper or Machado ? Personally? Zero on Machado, 5 percent on Harper. My colleagues are far more hopeful than I. I've watched DeWitt for years and years. I watched Boras for years and years. St. Louis Chargers....any chance or just a bogus rumor? What rumor? The NFL is understandable worried that the Chargers move to LA could be disastrous, but winning stadium proposal in San Diego does allow for enough expansion to bring the team back home. I'd bet on that over the Chargers moving elsewhere on the continent. Now that the Blues as a team have embraced the idea of competing for the #1 overall draft pick, when will management jump on board? What players do you see being traded for draft picks and how strong overall is the top of the 2019 draft? Sportsnet.caThere's a good chance we'll have a wire-to-wire No. 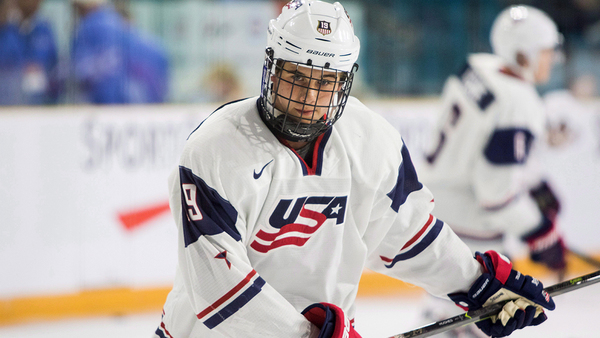 1 draft prospect this season as Jack Hughes is the same kind of stand out talent we've seen recently from the likes of Connor McDavid, Auston Matthews and Rasmus Dahlin. But after that, a lot of movement can happen. Any chance that we still move Jose Martinez? Where to? For what? The Cardinals have no need to move Jose Martinez unless they get value in return -- and efforts thus far have failed. Assuming the team will address its near-term corner infield need another way, the logical return would be a relief pitcher capable of handling high-leverage work. Happy Friday Commissioner Gordon, thanks for the chat. I watched the Sabres/Lightning game last night, those two teams can fly, are tough, and mean, and have good defense and goaltending...they were playing a different game from what the Dead Things vs Blues played Wednesday night. QUESTION: Do you think mgt will blow up the team in favor of youth, speed and toughness? At least that would show the fan base they are willing to go another direction to win in the future. We kept hearing how fast the Red Wings were until the Blues pinned them in for 30 minutes and generated a bunch of odd-man rushes of their own. So this team isn't as slow as it looks. That said, speed is at a premium in the league and the Blues will certainly look for that element when it does make some moves this season. And, again, I do expect moves. Either Doug Armstrong will try to save the season -- if this team finally gains some traction during the next few weeks -- or he will start working on next season. I do not see him sitting still. Although he won't make a trade just to make a trade, he has assets other teams like. Stillman has to be concerned this latest Blues flop could be the last straw for the fan base and they will go elsewhere to spend their entertainment dollar. With 2/3rds of the schedule remaining this could be his winter of discontent. It certainly could, especially at those prices. This team could end up making forward-looking trades that also shed some contract in response to the miserable start. An underrated possibility: Mitch Haniger from SEA. Do you see Cardinals taking a chance on him for RF, maybe send O'Neil back there? That doesn't seem like a deal that would interest Seattle, as much as the team liked O'Neil as a prospect. Haniger is coming off a breakout season and he is still a year removed from arbitration. And from the Cardinals' perspective. Fowler is the team's right fielder until he isn't. O'Neil is even earlier in the earning cycle than Haniger, which makes him appealing here. If in this scenario the Cards get Goldschmidt and not Harper, does the team look for a left handed hitting OF, bank on a Fowler bounce back or just balk at the idea of a balanced lineup? Fowler has almost $50 million left on his contract, so he gets a shot at right field unless the team miraculously makes that contract vanish. Obviously the Cardinals would like to add another left-handed hitter (or a right-hander with great splits against righties), but the primary need is more heft period. I would think Arizona will look for prospects in a Goldschmidt trade. And Jose Martinez makes way more sense for an AL team as a DH. Contrary to others I could see Goldy at 1B, Carp at 3B and Dex and O'Neill sharing time in RF and I do expect Dexter to have a more Dexter like season this year. I have no feelings at all about a lefty reliever, suggestions/hopes/ premonitions, your choice. Andrew Miller is said to be healthy, so that's worth a shot. I'd be a bit more concerned about Zach Britton's wear and tear than Miller's, but both bring some risk. What percentage do you put on this being another off season of Mo picking low hanging fruit and Cardinals calling it a success? I'd say there is about a 10 percent chance of the Cardinals making no major moves. There is always the possibility that every pitch will fail. But this time around I do believe the team will be more aggressive. Notable change is in order. What's the over/under for the number of hairs Chief has left on top of his head by April 1? Whatever the under is I will go with that....personally I can see the man being a splitting image to Captain Jean Luc Picard. The Chief may not have much stomach lining left if he sees another first period like the one in Detroit. This team practices hard, puts extra time in on the ice and says all the right stuff. But collectively the group is just flat. I hear people blame the coach for the Blues woes, some blame the players, some the GM. If you ask me it's all of them. Army put us in a bind with horrible contracts on past their prime players. The coaches we've had have been all wrong for the system. The players seem to be unmotivated for whatever reason.....but if you ask me.....the FANS are the most responsible. As long as DeWitt and Stillman know that us idiots are willing to pay top price for tickets to watch a sub-par product, what would be the motivation to break the bank and go big?